Have you heard?! It’s almost fall y’all! Like a lot of people, fall is my favorite season, but maybe not for the obvious reasons. I am not a fan of pumpkin spice flavored things (weird, right!? ), but I do love the cooler weather, the beautiful leaves and most of all the fashion. I love wearing all the layers, jackets and booties. 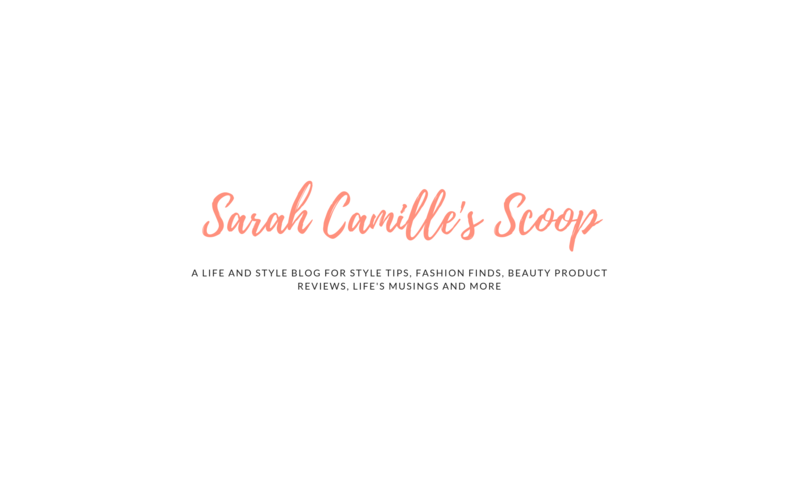 For the past couple weeks, I have been looking at all the new trends, planning out my fall wardrobe and getting some awesome new pieces (mainly on sale – woohoo)! There are some fall trends out there I am loving and some I’m just not into. Today, I will share my 10 favorite trendy pieces for this fall with some tips on how to style them and look extra fashionable this season. First, here’s a sneak peek of a few items I got and some outfit inspiration. I can’t wait to wear this! Now, here are the trendy pieces I have stocked up on, in hopes of an extra fashionable fall! The leopard trend is front and center this fall! I bought a pair of leopard loafers a few years ago that are super worn out, so getting these shoes for fall seemed like a no-brainer. I also got a super cute leopard shirt for just $25. The leopard print is a great trend to spice up any fall outfit! There are tons of camo jackets out there this year! This one caught my eye because it has a tied waist, making it super flattering. Some jackets out there can be a little too boxy for my liking. I got the same size I normally would in shirts and it fits perfectly, with enough room for a sweater underneath. This purchase was a bit of a wildcard for me. I want to wear more skirts and this suede burgundy one is super fun. For fall and winter, I plan to wear it with long cardigans and the suede over-the-knee boots I got last year. Long cardigans are a fall necessity in my book and they are everywhere this year. I got this light neutral and I’m sure I’ll be wearing it on repeat. If you feel like you’re swallowed up by a long oversized cardigan, trying wearing a belt over it to give your outfit some shape. Mules are something I have been a little unsure about this year, but I decided to try out this inexpensive pair for fall to see how I like them. I love the camel color of these and I plan to wear them mainly with jeans or pants. How do you feel about this trend!? Plaid is still super trendy this fall, and I think I will always love the classic way they look under a vest. This year, I got a couple new plaid shirts from J.Crew Factory and Old Navy. Both fit true to size. The blue Old Navy one linked above is an awesome price, tunic length and super soft and cozy. The exact suede Moto jacket I got during this year’s Nordstrom Anniversary sale is now sold out, but the ones linked above are quite similar. Suede moto jackets are such a fun trendy way to pull a fall outfit together. This scarf might be considered a little more classic than trendy. It’s debatable, but I’m ok with that! I plan to pair them often with the camel mules I got and the leopard flats. I may have gotten a super cute colorblock scarf as well! Am I the only one with a scarf obsession!? If you are feeling the western trend, but want to ease into it, then these booties are a great way to go. I got these on sale in the lighter taupe color and I can’t wait to wear them with the camo jacket I got and jeans! T-shirt dresses my be my new favorite trendy piece! If you follow me on Instagram, you know I wore one yesterday. This grey lace-up one is super cute and will look great under a jean jacket and tennis shoes or styled with a cardigan, scarf and boots. There are a lot of options for these! Hopefully, seeing my favorite trendy pieces for this fall gives you some inspiration for your wardrobe! I would love to hear what trendy pieces you plan to wear this fall. Are there any trends you currently love or hate? Share what you love wearing lately in the comments, and let’s chat! Also, I am thinking of doing a round-up of must-have basics for fall. Let me know if that’s something you would be interested in.